I’ve just spent another forty-five minutes watching a free video about writing. The information is great, and I love being part of a writer’s community. But I spend so much time reading e-mails, watching videos, and taking notes on ideas to try that it leaves little time to actually write. Even worse, sometimes I get sucked into a paid course that promises fame, fortune, and great wealth. So what to do? Do I just quit looking and ignore all the information that is out there? Unsubscribe from all mailing lists? Spend even more hours slogging through everything that comes my way? Sorry, I don’t actually have the answer. The information overload that’s available is due to authors trying to get noticed. Everyone is trying to add value to their brand. The more you read from a particular author, the more you will be apt to recommend his or her work, hopefully causing you and everyone you know to buy that author’s book. Books are sold, the author makes money, the world continues to go round and round. Quite frankly, I’ve spent more on learning to market and write my books than I’ve made by selling them. Is this a bad thing? Not really. I have to remind myself why I started to write in the first place. I write for the fun of it. I enjoy creating a world and allowing others to experience it too. Would I like to make some real money? You bet! There is something validating about getting paid for a story you wrote. It makes you feel like the work has value. The honest truth is, you have to sell a lot of books to ever get compensated for the time put in. So how many books do you have to sell? Hundreds? Thousands? Try a hundred thousand. So…just give up? Not at all. The thrill is still there for each and every book sold. I am going to keep watching videos, keep learning, and keep writing. My suggestion is to pick a couple of writers to learn from, absorb all you can from them, and keep learning. Scheduling a certain amount of time for learning and time for writing helps. I write before reading email on most days, otherwise, I never get to the writing. What’s holding you back from a writing career? Is it a lack of time? No skill? I doubt it. I think the thing that stops most folks from a writing career is that big white rectangle staring them in the face. A blank page. A blinking cursor. Where do you start? Where do the ideas for a great story come from? It really doesn’t matter if you want to write a letter to your grandma or the next Great American Novel. The Idea comes from a single thought. From there you build and expand until the thought has a theme and a purpose. But there is still that darn blank screen. Okay, don’t despair. I have some ideas on how to get started. First of all, don’t sit in front of a blank screen. Yup, I mean it. Go for a walk, do the dishes, make a cup of coffee. The thing is, you rarely will come up with an idea if you command one to come to you. Have you ever noticed that your best ideas come when you are so busy that you can’t even take the time to write it down? Ideas are elusive, sneaky, little things. They like to pop in when they aren’t likely to be noticed. Some even show up when you’re sleeping. That’s hardly a way to run a business, just waiting for inspiration to hit, is it? Stay with me here, this is how to get started. So by now, you have your coffee, and the dishes are done. There are side benefits to this process, see? Get a blank sheet of paper and a pen. Okay, I know we’re back at the beginning now. All you need to do is write the first word that comes to mind in the middle of the page, not too big, you will need the space later. Say the first word you thought of was red. That’s hardly a start of a great story, but draw a short line and attach things that red pertains to. Blood, ladybugs, your favorite shirt, the color of your neighbor’s car, and so on. All kinds of random words will all be attached to your first word with little lines. Great, the page isn’t blank now. On each of the words you thought of, draw more lines and write as many things as you can that pertain to those words. Some of the words will trigger many more paths, others will fizzle out. That’s okay, you’re sorting things out. Continue to draw connecting lines and more words. Make a mess of things. Use arrows to connect things that belong together. No erasing, and no editing is allowed, just keep writing. When your page is full, and you are forced to write smaller and smaller just to squeeze all the thoughts in, sit back and take a look at your map. You will be able to see paths and connections all over the place. Many of your words will have nothing at all to do with the word red. Here is an example of only one path on my sheet of paper. Red, blood, hospital, nurse, needle, drugs, addict, crime, money, work, briefcase, executive. Executive is a long way from red, but that’s where it took me on that particular path. I’ll do the same with the other paths on the page. Red, ladybugs, spots, stripes, jail, criminal. Red, flowers, roses, thorns, blood. Now I’m going to circle or highlight my favorite words on the page. Here’s the fun part, now you get to go for a walk or do something fun. It’s not necessary to think about your words, but if they pop into your head, don’t chase them away. You may have a Muse starting. When you get back from your walk, take a look at what you’ve got. If you want to expand more, you can take your highlighted words and start a new page with each of them. I usually don’t need to do that. By now I’m starting to get a story idea. An executive with a red sports car is evading criminal charges for importing flowers infested with ladybugs. Gosh, he could be responsible for shutting down the entire agricultural system. There could be economic collapse and famine! Have fun with this exercise. Allow the ideas to percolate as long as you need to. Make more word maps when you get stuck. Try to draw connections between the different word paths. Take more walks and get the dishes done. If nothing else, you will be healthier and your kitchen will be clean. Arnold and Blaize By Nancy Cupp are free e-books available on instafreebie. 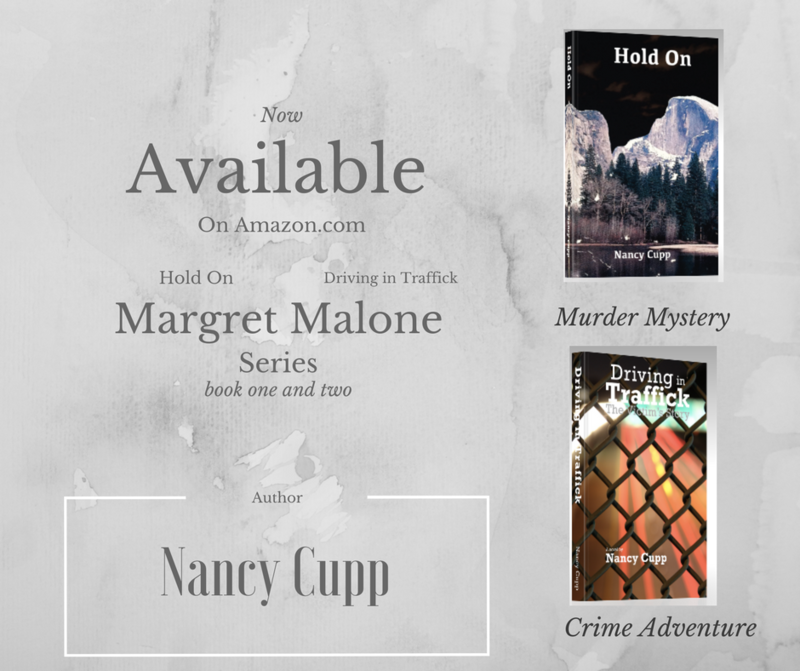 These two novellas are an Introduction to Driving in Traffick. Find out how Arnold gets to be a nasty bad boy, then read Blaize for the flip side of the story. They both tell the story before the story from different points of view. Did you know that you can get thousands of books to read for free? No, I’m not talking about the library. I’m talking about the Kindle. Okay, this isn’t quite free–wait–don’t go away! With Kindle unlimited, you can choose from thousands of titles for $9.99 a month. That’s less than one print book, and it’s portable and convenient. With Kindle unlimited, you can choose from thousands of titles for $9.99 a month. And you can try it for free for 30 days. That’s less than one print book, and it’s portable and convenient. No more lugging heavy books around. You can either get a Kindle e-reader starting at $59.99 for the plain version (that I’ve been using for years) or you can get a much fancier model. (click the kindle above to go there) But if you don’t want to invest in a kindle, did you know you can get a free app for your phone or computer? http://www.amazon.com/gp/kindle/kcp With the phone app, you always have a good book to read in your pocket. Remember the last time you had to wait at the DMV to renew your driver’s license? Boring! Even if you decide not to get Kindle unlimited, the Kindle or the app on your phone will save you a lot of money over print books. The typical print book selling for $12.95 (plus extra for shipping) will only cost you around $2.99, or often times it will be $.99. Really, can you afford to not have a Kindle? The library is great, but you have to wait for new titles to show up if they show up at all. With Kindle unlimited, you get to be one of the first to read the new books when they come out. Why limit yourself when there is a huge library of new titles to choose from?